I keep an old computer around for just that purpose. And its two hardware serial ports. Will USB-to-Parallel adapters work? I keep an old Thinkpad around for stuff like this, but the adapters can be had for under $20. I was actually pleasantly surprised when I had to replace my motherboard a couple of months ago; the one I was going to pick anyway came with one. It’s not got the connector on the board, only 0.1″ header pins, but close enough. Lucky, unfortunately they are rare, they in fact were rare years before the serial ports became rare. They are so nice to have though. My steampowered car has 2 actually, but it costs a lot of coal to run them. Would probably be easier to use a microcontroller based circuit to program the values into the chip. On cursory examination, I can’t see any reason that a near-brainless Arduino ( like the tiny and cheap DigiSpark) or even a “high end” FTDI chip that has a few I/O pins come with it, can’t feed the “high end” 555. Am I missing something? Does programming this thing really require finding a steam driven PC having a parallel port? BTW, like Zombie, I have two of them sittin’ here, and Windows 98 SP1 still runs just fine! I’m asking this question for all the youngsters out there who are not compuarcheologists. . .
HI, I had originally thought about using an MCU but I needed to throw the programmer together as quickly as possible (I wanted to use the CSS555 in another project). I had all of the components on hand including the the old laptop so it didn’t take long to build the programmer hardware. The laptop has an old C compiler and a version of Forth (called Fifth) already installed. I chose to use Forth because I thought it would save a little time not having to recompile the code after every bug fix (it did). Also, I could write little modules to test the hardware on the fly. But you don’t have to be so much, so that’s nicely sorted. Sounds like it just has a built in flip-flop clock divider. The CSS555 has a programmable, 6 decade counter (1, 10, 100… 1E6). The CSS555C has the programmable counter + a programmable 100pF (85pF to 115pF) timing capacitor. This sounds like a really cheap way to get a programmable capacitor for use in all kinds of projects. Would it work if you only connected the threshold pin and ground? Interesting question… the CSS555 would need to be powered so the capacitor trim settings were working. (It only requires a few microamps.) One side of the capacitor is hard wired to GND. Why anyone is actually producing such a chip in the 21st century is beyond me, but it’s cute. I don’t think you really need a parallel port or microcontroller to program this thing, as there are only 6 configuration bits and 8 bits for the capacitor trimming to be programmed. A few switches, a LED, and a debounced pushbutton for the clock is all you need to do it manually. Indeed. It had its time in the light and did many projects with it back then…(showing my age here). I don’t see the need for it in the 21st century, when a $0.35 microcontroller can do everything this thing can and then some. This really is a 555-based analogue chip? Not just an 8-pin PIC with a bit of software? Next question, why bother manufacturing this when you could just sell an 8-pin PIC with the right software? Finally, why is there a market for this when you could just program a PIC? Look at the total cost of the two methods. A regular 555 you just solder in there, the uC needs to be programmed, and the one you were using has probably just been discontinued. Then there’s the actual performance. 555’s are hard to kill, can source/sink a lot of current, don’t need watchdogs or brownout monitors and so on. Obviously the CSS555 is harder to us than a normal 555, but may still have the other points going for it. It is weird to open up equipment and find a 555 sitting happily in there. I still don’t understand the appeal. Lots of uC’s can sink/source plenty of current (if you need more just add a transistor) and, despite the 555 vaunted current handling capabilities, I’ve managed to kill more than a few 555s. The software to emulate a 555 is really simple, provided you just want the uC to do the standard things a 555 does (pulses, pulse trains, etc). Plus, most uC’s have a crystal driver, so you can actually generate predictable, repeatable timing. Heck, even the built-in VCO on an MSP430 would be an improvement in that department. I’m pretty sure that 555 timers can run up to 15V. 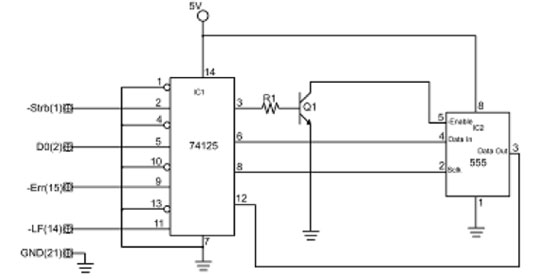 This has obvious benefits when running higher voltage circuits that only need a simple timer. just because you can make something do what you want does not mean that there is no reason to go and buy something that will do the task with less effort on your part. If a uC fit your skillset / budget / performance etc matrix then use it. If you need to use a 555 then use that. If you can justify your choice then that’s all you need. It’s simple a matter of design, occasionally an older dumber chip works well, though as uC price/performance gets better the 555 looks more & more unattractive. I’ve seen recent designs that could be replaced by a $2 uC and a few dozen lines of code, so who know what their justification was. On the other hand one was something you don’t seem much of these days, an IR remote control when the 36kHz carrier was generated by a 555. These days remotes use custom chips, and a decent uC can generate that 36kHz easily enough, but in this case they were after low power, and thus wanted a very slow uC. They might have been able to find a uC that worked (speed vs power), but another factor is actually getting something made – simpler components can shorten design & test time.